This shoot. THIS shoot, in particular, goes to show you that you truly don't have to "bare it all" in a boudoir session. Miss "M" is one of my dear friends. She's sweet as pie, absolutely stunning, and completely ROCKS this baggy sweater, don't you think!? This shoot was even better than we envisioned it, and according to the texts I got after sending over a few teasers which read "HOLY SH*T!!! In loooooove!" and "AGHHHHHH KARA THEY'RE SO PRETTY!! I can't even believe it's me! I love them! "....I think Miss "M" was pleased too! Many thanks to the incredible Lauren of Hint of Shimmer for her glamorous handy-work on Miss "M"'s beautiful face! 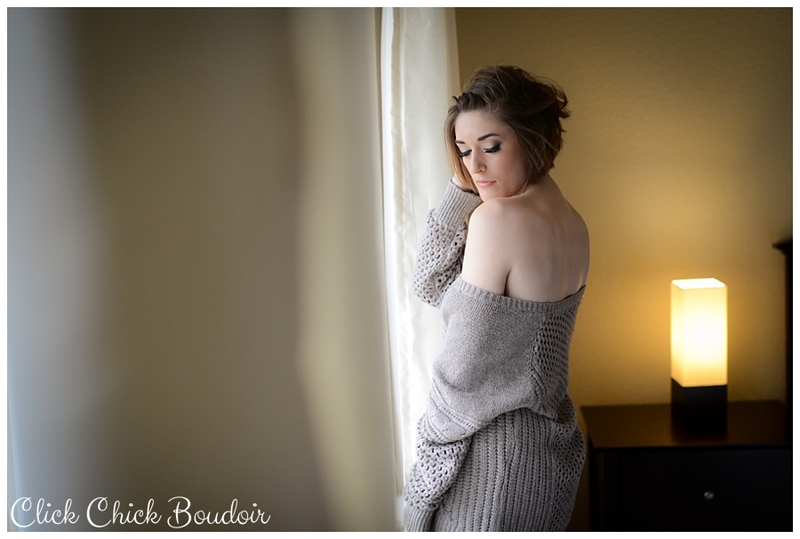 For more information on Austin TX Boudoir photography, take a little browse around my website, dahhling! To inquire about your own shoot, just complete the form below!